Taiwanese immigration officials with apprehended members of the "missing" Vietnamese tour group. Taiwan’s long, often sordid history of accommodating its roughly 700,000 Southeast Asian foreign workers has taken two unfortunate turns in recent weeks, leading opposition legislators to question aspects of President Tsai Ing-wen’s signature New Southbound Policy. On December 25, 2018, Taiwanese media reported that 152 Vietnamese nationals had gone missing after entering the country in a tour group before allegedly departing in an organized effort to find illegal work. Taiwan’s immigration bureau said on January 9 that 67 of the “missing” tourists had been located in a case that has sparked human trafficking concerns. Days later, on December 27, Kuomintang (KMT) legislator Ko Chih-en said hundreds of Southeast Asian students in Taiwan on an internship program had been coerced into low-paying work at factories due to collusion between their universities and unscrupulous employment agencies. Indonesia promptly stopped sending students to Taiwan, although over 200 Indonesian students claimed the allegations are false. The incidents have strained relations between Taiwan and its New Southbound partner countries and cast further doubt upon the viability of the policy’s “people-centered” exchanges – a prime plank of Taiwan’s drive to foster closer relations with South and Southeast Asian states, lessening its dependence on China as improved cross-strait relations remain politically and practically untenable. Between December 21 and 23, a total of 153 Vietnamese nationals arrived in Taiwan on e-visas to join a tour arranged by International Holidays Trading Travel Co. in Vietnam, according to VNExpress. Days later, according to Taiwan’s National Immigration Agency (NIA), 152 had disappeared. The group had utilized a new program, called the Kuan Hung Pilot Project, which allows tour groups from Vietnam and five other New Southbound target countries to apply for Taiwanese visas online without having to provide proof of employment or financial reserves. Taiwan’s foreign ministry suspended the policy days later and canceled 182 additional visa applications submitted under Kuan Hung. As of Wednesday, 33 of the tourists had turned themselves in to authorities, according to the NIA, while 34 others had been arrested. 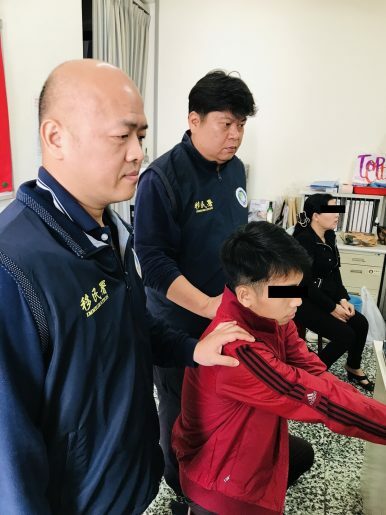 Three additional members of the group were sent to the Kaohsiung Prosecutor’s Office on suspicion of violating Taiwan’s Human Trafficking Prevention Act. Taiwan’s tourism bureau has defended the Kuan Hung project, calling the incident an “isolated case” and saying it would soon meet with the Cabinet-level tourism committee to further discuss the project’s future. Taiwan has struggled in the past to combat human trafficking within and outside its borders. Since 2009, Taiwan has been listed in Tier 1 of the U.S. State Department’s annual Trafficking in Persons Report. However, concerns have persisted over the trafficking of migrant workers, often from rural areas of Vietnam, along with repeated instances of forced labor on Taiwan’s high seas fishing vessels. If the “missing” Vietnamese tourists threatened a component of the New Southbound Policy, allegations made by KMT legislator Ko Chih-en days later have the potential to rock the foundational viability of the policy’s “people-centric” aspects. Ko told the parliament’s Education and Culture Committee that at least six universities, including Hsing Wu University in New Taipei, had conspired with employment agencies and companies to trick students into providing cheap labor and working up to 10 hours a day. Hsing Wu University, she said, sent its students to “stand for 10 hours and package 30,000 contact lenses every day” for four days per week at an optics manufacturer after being misled into applying for the program by employment agencies. Ko said students had been enticed into applying for the internship program through advertisements claiming it would offer free meals and accommodation along with a monthly salary of NT$20,000 (US$650) for what it called internship work. However, upon beginning their sophomore year, students learned they had to pay NT$40,000 (US$1,300) per semester for tuition, along with housing and other expenses, she said. Ko said the case was part of a larger pattern of schools joining with companies and Taiwan’s oft-maligned employment agencies to steer students on New Southbound Policy internship programs into low-paying work. Indonesia responded last week by temporarily halting the recruitment and placement of Indonesian students in Taiwan through the program. Its foreign ministry also requested Taiwanese authorities to explain the situation while calling for a complete investigation. Taiwan’s employment agencies have long been accused of participating in the mistreatment, underpayment, and exploitation of Southeast Asian migrant workers in a regulatory environment that rights groups say is gravely insufficient. In April 2018, about 300 Vietnamese women protested fees being deducted from their salaries by their brokerage firm, identified as Shou Shin Manpower Co. Months earlier, the company had received a sterling evaluation by Taiwan’s labor ministry. However, workers, activists, and Taiwan’s regulatory Control Yuan have claimed the ministry is understaffed and unable to investigate myriad allegations of labor violations. In December, the Control Yuan noted that the ministry had only 336 consultants on staff to investigate the living and working conditions of around 700,000 migrant workers. Tsai’s New Southbound Policy has won plaudits for its pragmatic balance between forging trade ties apart from Beijing and promoting people-centered and cultural exchanges with South and Southeast Asian countries. However, the latest wave of alleged abuses of the policy may remind the ruling Democratic Progressive Party (DPP) that, as it promotes the policy and welcomes New Southbound visitors, students, and workers, it also must heal longtime internal wounds before building truly sturdy links with its regional neighbors.